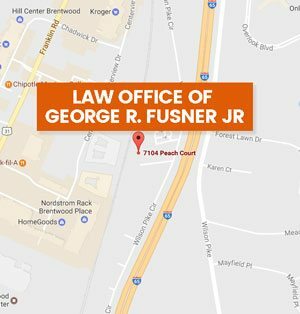 Featured | Law Office of George R Fusner Jr.
November 2, 2012 By George R. Fusner Jr. MYTH: If you write the insurance company a letter and are reasonable, you will get a reasonable settlement proposal. THE FACTS: The insurance company will “low ball” you. Guaranteed!!! MYTH: When you are in an accident and the insurance company for the responsible party calls you to ask for a recorded statement, you have to give them a recorded statement or they won’t settle with you. THE FACTS: You have no obligation to give a recorded statement. Just say no. Get an attorney first. 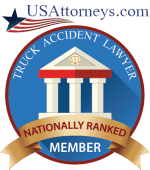 NEVER EVER give any information to the insurance company about either the accident or your injuries without first consulting a qualified attorney. Just last week I was negotiating a settlement for a client. I spoke with the adjuster. He said well your client told me right after the accident (before he hired me) he had no injuries. I asked “what exactly did he say?” The adjuster paused pulled up his notes and said “I asked him how he was doing and he said “fine.” A good Southern polite response. Fortunately the client had just been to the Doctor and the medical records and x-rays confirmed injuries from the accident. MYTH: All lawyers who advertise that they handle accident cases have the same ability, tools and experience to handle your case. THE FACTS: All lawyers are different. They went to different law schools, handled different cases, numbers of cases, studied the law differently, tried different numbers of cases, or maybe never tried a case. Ask the Big TV advertising lawyers (I bet you can’t see them personally) the last time they saw the inside of a courtroom. MYTH: The insurance company for the person who hit you is obligated to pay your medical bills as they are incurred. THE FACTS: The medical bills are only one item of your damages. They won’t pay them so you won’t seek medical treatment. Then they tell the jury you could not have possibly been injured since you didn’t even go to the Doctor. MYTH: All lawyers charge the same fees in injury cases. THE FACTS: In most personal injury cases all lawyers will charge a fee on a contingency basis. That is if they do not make a recovery there is no fee. Different cases demand different fees. For instance products liability cases are very expensive an often a forty percent fee is charged. What is really important is the expenses. Some lawyers will charge you for the case expenses even if they make no recovery. Some even make you pay as you go. I advance all expenses on a contingency basis. If I don’t make a recovery for you you pay no expenses. 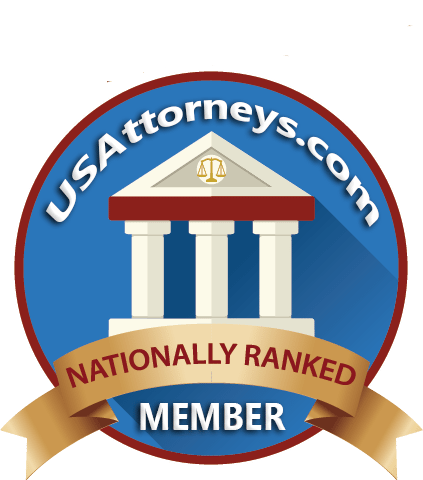 MYTH:The tort liability system is some sort of lottery that will help you get rich. THE FACTS: No lawsuit will get you rich. Its hard work for both the client and lawyer. Hundreds of hours are worked and thousands of dollars are spent. Some juries will only give you your medical bills. MYTH: Just because there has been a wreck and it wasn’t your fault, there must be some insurance company that will pay for your bills, lost wages and injuries. MYTH: If a lawyer refers you to a doctor, that is a good idea. THE FACTS: Often the kiss of death for your case. Recently, I had a potential client contact me after one of the big TV advertisers refused to go forward with his case when the insurance company refused to settle a clear liability case. When I looked at the file the lawyers had hooked him up with a Doctor. The Doctors bills and EOB (Explanation of Benefits) showed the lawyer as being the responsible party. The Doctor ran up charges of over $50,000. The insurance company refused to pay anything since the charges were so outrageous. Was the client hurt? Yes. However, the lawyer by referring the client to a Doctor killed the case. Now the real bad part. The Doctor then sued the client for the bills. MYTH: Juries in Tennessee are generous. THE FACTS: Tennessee juries will be fair but not generous in most cases. It all depends on the case, injuries and client. If they like you they will treat you fairly. If you lie or they don’t like you look out! Approximately one in six drivers across the United States may be driving uninsured by 2010, according to a recent study from Insurance Research Council (IRC). Although the estimated percentage of uninsured motorists decreased nationally, from 14.9 percent in 2003 to 13.8 percent in 2007, the recent economic downturn is expected to trigger a sharp rise in the uninsured motorist rate.